NETFLIX movies are more miss than hit. With the streaming service churning out dozens of original movies every month, mostly without much fanfare, it's hard to find the good ones. Well, this is a good one. To All the Boys I've Loved Before launched on Netflix on Friday night and already it's winning over the toughest critics of all - social media chatter. But won it has, with the movie trending on Twitter and fans expressing their love for it in short messages accompanied with emojis. It's not hard to see why. It's so undeniably sweet. Based on a popular young adult novel published in 2014, To All the Boys I've Loved Before is one those teen romances that don't just appeal to young folks, it also works for anyone who was a teenager (duh, everyone) and never completely grew out of those fluttery feelings (duh, also everyone). 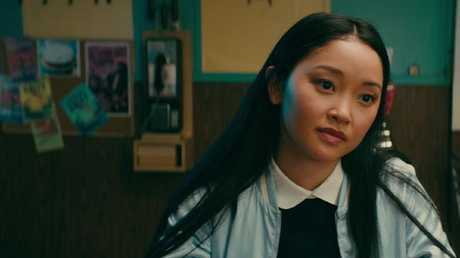 Lara Jean Covey (Lana Condor) is a half-Korean, half-Caucasian high-schooler that loves reading sappy romance novels. 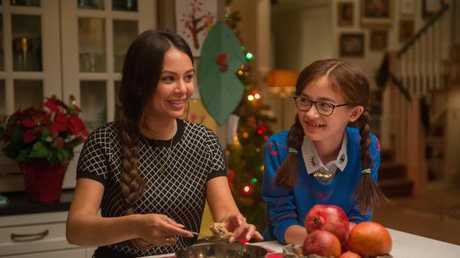 She lives in a nice suburban house with her widower father Dan (John Corbertt) and two sisters Margot (Janel Parrish) and Kitty (Anna Cathcart). Lara Jean is also secretly in love with her sister's boyfriend Josh (Israel Broussard). Even when Margot leaves to go to college and breaks up with Josh, Lara Jean knows he's still a no-go zone. To All the Boys I’ve Loved is based on a popular teen novel. It launched on Netflix on Friday and is already winning over critics. Over the years, Lara Jean has written five letters to five boys she's had crushes on. Those gushing letters are for her eyes only, kept in a blue box in her wardrobe, as a token of her emotional fantasies. One day at school, Peter (Noah Centineo), a boy she kissed during a game of spin-the-bottle when she was 12, runs up to her, brandishing the letter she wrote to him. Somehow, the letters have been sent. As embarrassed as Lara Jean is about Peter's letter, she's mortified to see Josh walking up with his. In a moment of panic, she pins Peter down and kisses him in an effort to ward off Josh, which means she won't have to confront her own feelings for her sister's ex. That's when Lara Jean and Peter hatch a plan. They'll pretend to date each other in front of everyone for their own reasons - she to put off having an awkward chat with Josh and Peter to make his ex-girlfriend Gen jealous. To All the Boys I've Loved Before is one of those cute, charming and alluring rom-coms that leaves you with a smile on your face. It's pure joy. Condor, a 21-year-old Vietnamese-American actor, has a genuine and appealing energy that you can't fault. Lana Condor plays high-schooler Lara Jean Covey. To cast Condor in the lead, when other producers asked author Jenny Han to whitewash the movie version of her book, is a big step forward. And it's not as though the character's cultural background is ignored in the film - there are many little references to Korean products and food woven throughout. She's one of the most relatable teen romance heroines to come along in a while, able to elicit empathy from anyone who's watching Lara Jean's story. When her heart swells with hope, your heart swells with hope. When she's crushed by disappointment, you're crushed by disappointment. Condor brings you along with her and that's no easy feat. Part of the movie's relatability is Condor's easy and authentic voiceover - it's never melodramatic and it's never self-pitying, which is not something you can say about 99 per cent of teens you see on screen. Lara Jean isn't an archetype, she's a well-rounded, unlikely low-key lead, but she's also everyone. 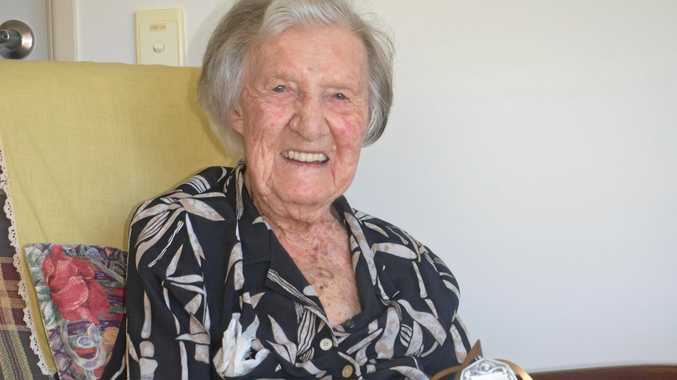 Almost every viewer will be able to connect something she does with something they did, or still do. Man, does this movie take you back to those heady, uncertain times when every glance or gesture from the person you were crushing had to have a significant meaning. A refreshing teen movie that you'll happily show any young person in your life with confidence, and not-so-secretly adore yourself, it's a classic in the making. To All the Boys I've Loved is streaming now on Netflix.